Credit card skimmers are set up at locations, mostly gas stations, designed to steal your personal and financial information. 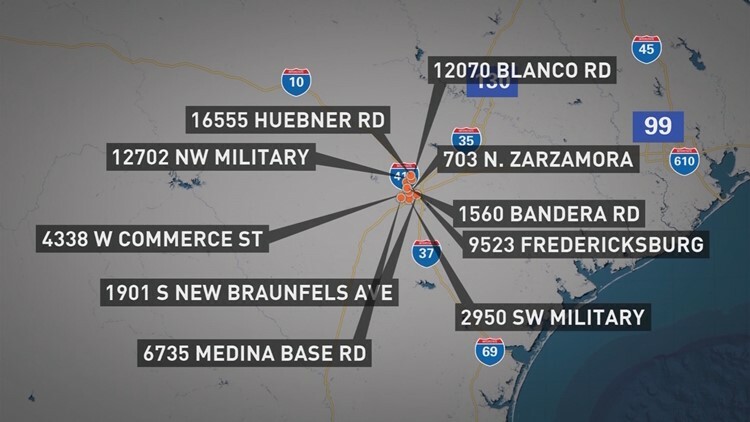 The City of San Antonio is reporting a jump in credit card skimmers that try to steal your credit card information. On Wednesday, the city said that it found 14 skimming devices at 10 locations in the month of September, most of them at gas stations. That’s up from just three that were found in August, although 11 were found in July. Three devices were found at a Walgreens at 1560 Bandera Road. One device was found at a Valero gas station at 6735 Medina Base Road. One device was found at a Valero gas station at 4338 West Commerce Street. One device was found at a Valero gas station at 16555 Huebner Road. One device was found at a Valero gas station at 1901 S. New Braunfels Ave.
One device was found at a Valero gas station at 12070 Blanco Road. One device was found at a Valero gas station at 9523 Fredericksburg Road. Two devices were found at an Exxon gas station at 12702 Northwest Military Highway. One device was found at a Valero gas station at 2950 Southwest Military Drive. Two devices were found at a Valero gas station at 703 N. Zarzamora St.